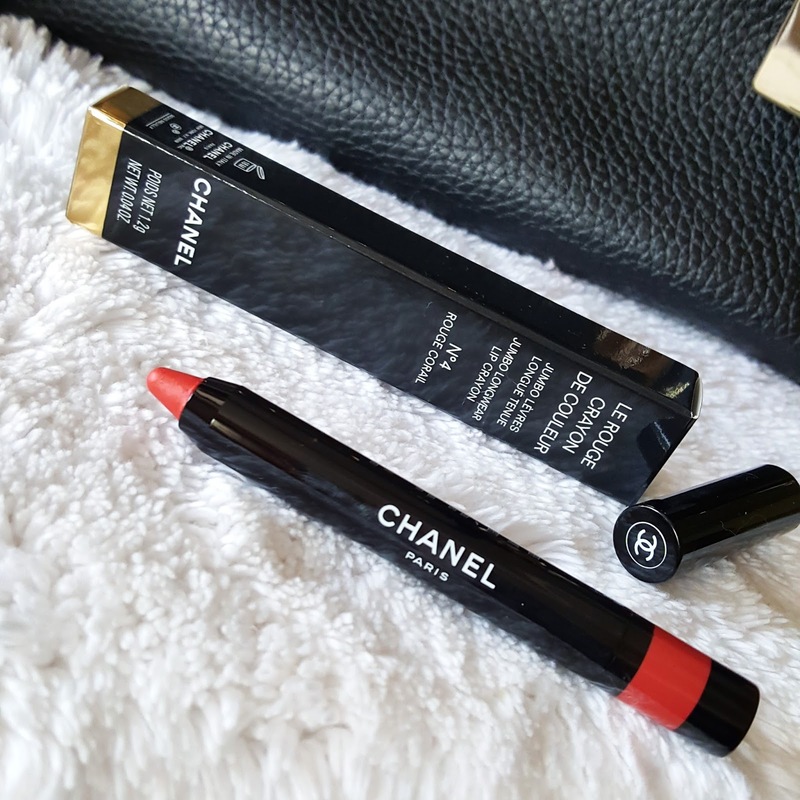 Looking at NEW Chanel lip formulas it makes me feel SPRING 2017 is almost here and fall is getting over. I absolutely enjoy using spring collections as they come up with lot of new fresh colors and trends.. 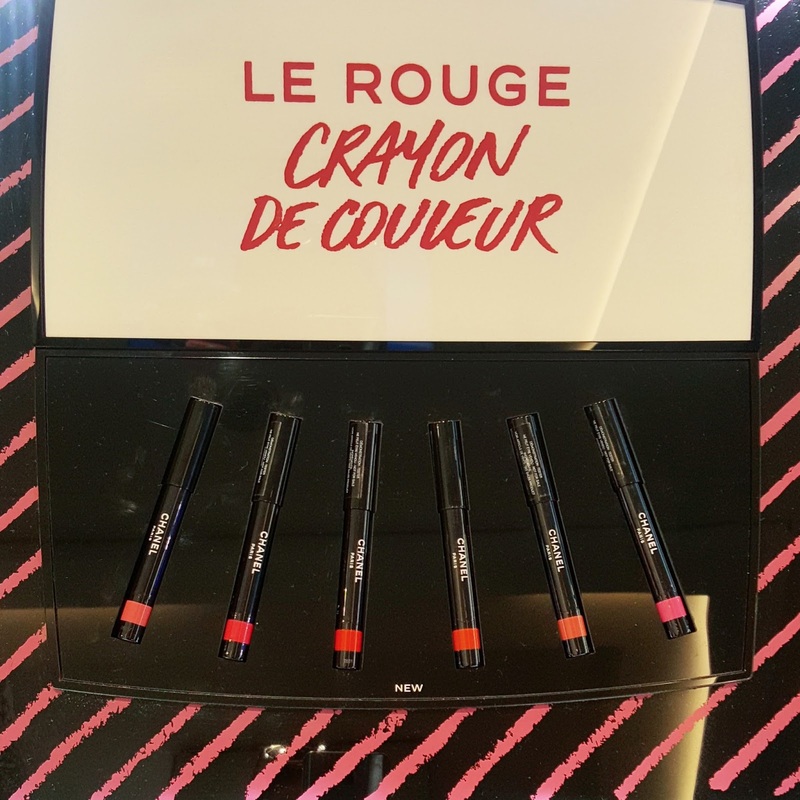 So today I will be reviewing CHANEL LE ROUGE CRAYON DE COULERU JUMBO LONG-WEAR LIP CRAYONS which are available for 37$ each. 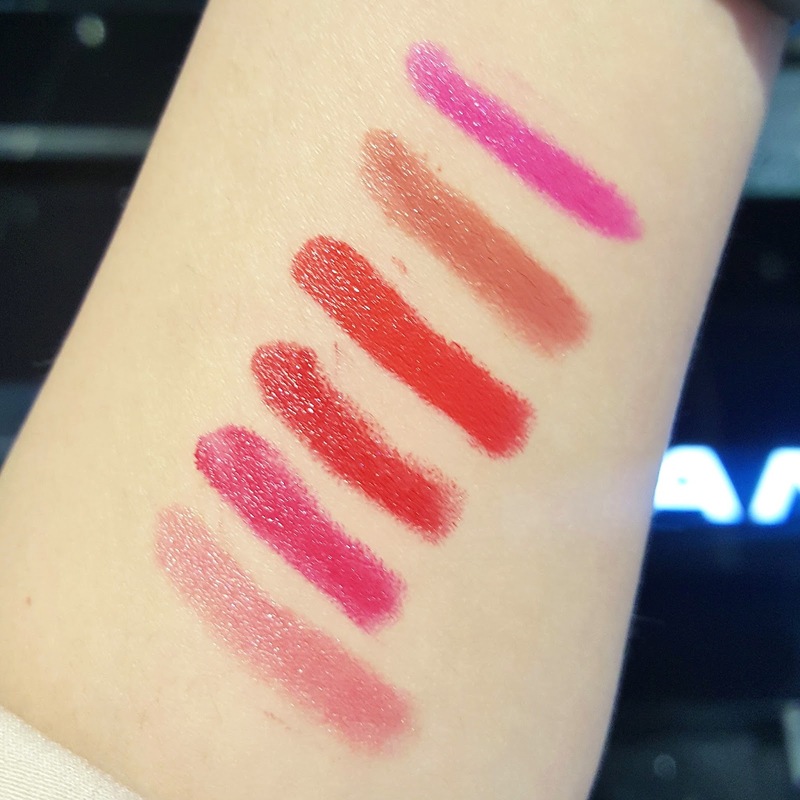 I was pretty excited to swatch them all before picking up one shade. ROUGE CORAIL NO.4 is a beautiful spring color absolutely must have for flowery bright sunny summer days. It’s a warm tone red having corals which looks bright and beautiful on lips. 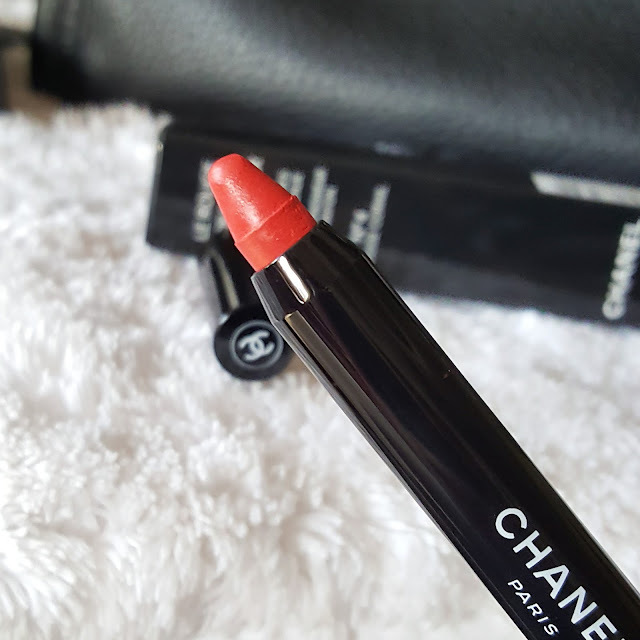 The Le rouge crayon is a twist up lipstick. They are just like Clinique chubby sticks but much slimmer compared to them. 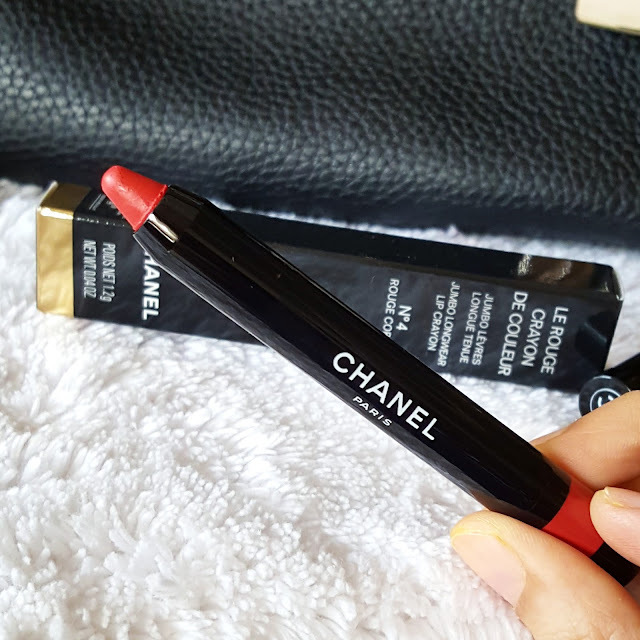 They have glossy finish which gives a perfect shine to lips much comparable to rouge coco shine. This lipsticks are highly pigmented and texture is much more creamier than expected. 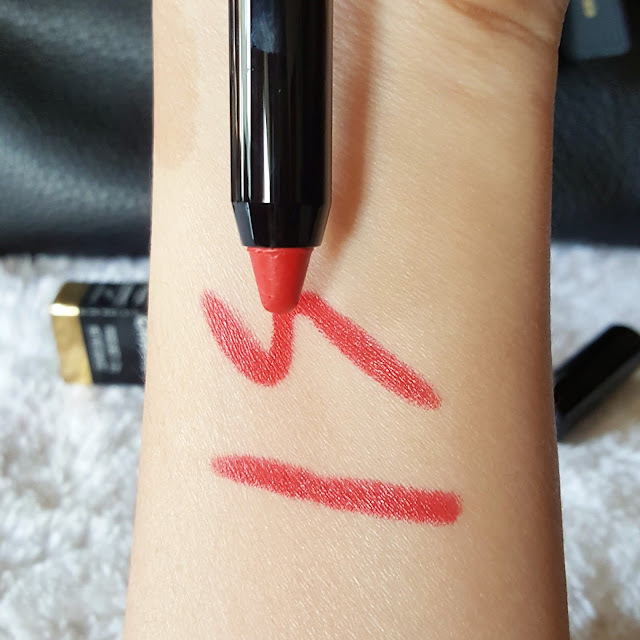 The moment I swatch it feels ultra luxurious so rich yet giving that satin shine finish. The formula is hydrating enough to keep your dry lips moisturize. 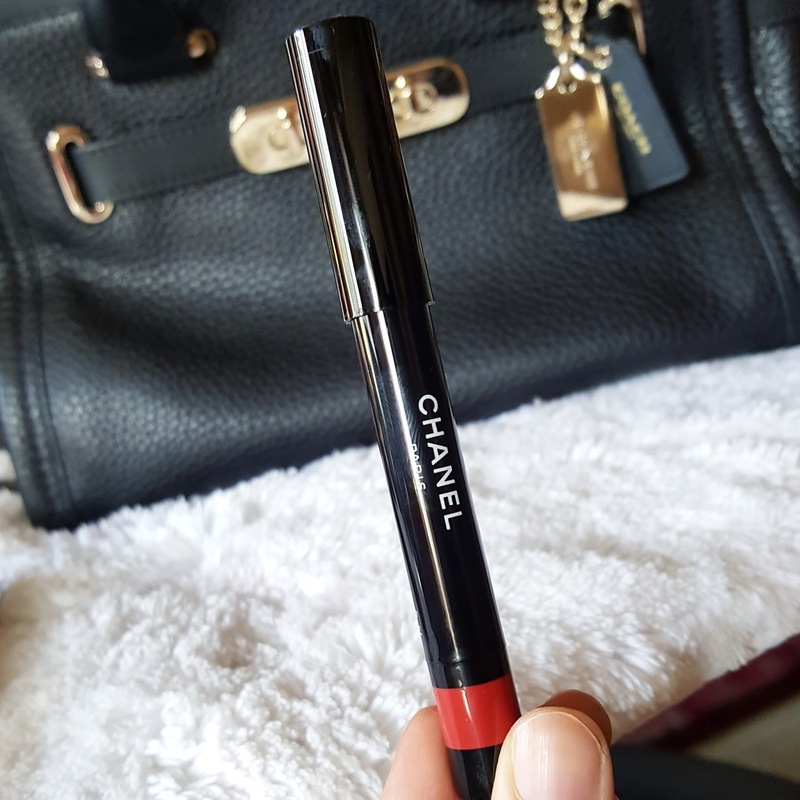 It glides effortlessly without any patchy application. You barely need second swipe as they give full coverage. This is just amazing as it gives that perfect gloss finish without having to compromise on pigment. Excellent color pay off. They have no fragrance. Due to its glossy finish they are transferrable to some extent. But it doesn’t fade away even after 4-5 hrs. 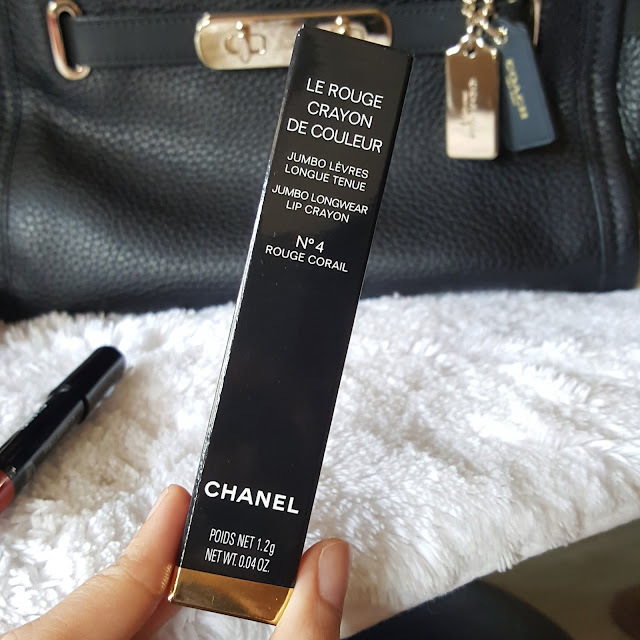 The formula holds so well on lips. Also there is no sticky feel to it. Its very light weight and comfortable on lips. I loved almost every color and almost all shades go on various skin tones. 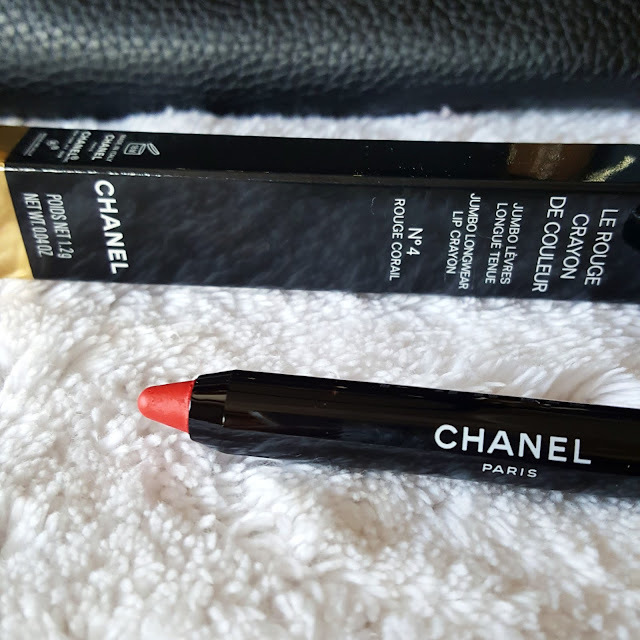 Overall recommended they are pricey but if you want a glossy finish with lots of pigment CHANEL LE ROUGE is absolutely must have. 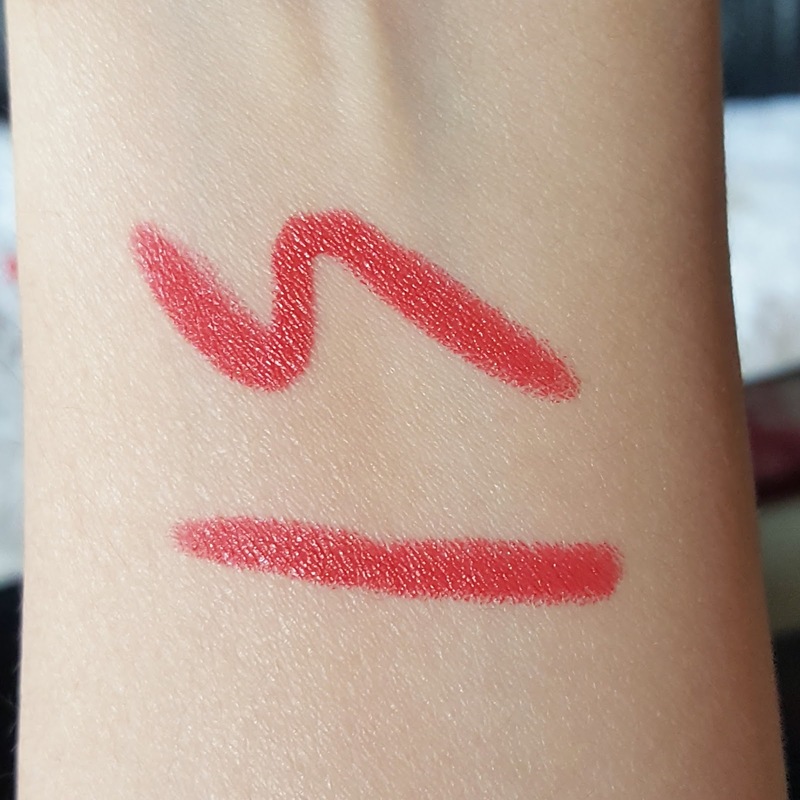 I loved the formula texture its was non drying and did not flake. No smudging or bleeding was observed. If at all you have patchy application you can fix it them with lip pencil. They wear beautifully on lips and makes your lips look well nourished. Only I hope for the product to last for longer time as it’s a expensive one. HAVE YOU TRIED IT YET IF YES PLS LET ME KNOW IN COMMENTS BELOW. Very nice review & swatch but why never put a pic of the full ingredients list ???? Why ?? ?